There is reason to envy Jusuf Arifajic's cows. His animals sleep on mattresses in a barn with a computerized air conditioning and lighting system. They are bathed regularly, get a massage whenever they feel like it and receive the occasional pedicure. Relaxing music makes sure milking is not stressful. "Nobody should envy my cows. Everybody should just realize that the visa for the future is science," said Jusuf Arifajic, the 52-year-old farmer everybody around Kozarac in northwestern Bosnia is talking about. Arifajic and his 25 employees monitor every corner of the rubber-floored barn on computer screens. Most of the animals prefer to hang out by the six automatic car wash-style brushes, enjoying massages. A computer regulates the temperature, the quality of air and the lighting, keeping the cows healthy. Arifajic's calculation: Pampered cows give five liters more of milk a day. Multiply that by hundreds of cows and "although initially expensive, advanced technology really pays off in just a few years," he said. Arifajic brought the concept of pampering cows from Norway, where he lived as a refugee after fleeing from Bosnia's 1992-95 war. Arifajic invested $11 million into the farm that started four months ago with the importation of 115 Norwegian Red Cows. The animals are a tough and hornless animal bred over the past 75 years to produce more and better milk. Arifajic wants to eventually expand to 5,000 cows. Critical thinking challenge: How does the farmer get an ROI (return on investment) by spending money to pamper his cows? Is yogurt worth arguing over? I think it's really awesome that he isn't torturing the animals like many other farmers do. The fact that the cows are treated very nicely is extraordinary. And they produce more because of that! It's really something that every farmer should definitely work into doing. It would make the production better, but also the environment animals live in more exceptional. This article is about cows in Bosnia. The owner of the cows is Jusuf Arifajic. He has a barn that has matresses, air conditioning, lighting, and a manicure station for his cows. He pampers his cows so much because he says he gets 5 more liters of milk a day. I think this is a really interesting way to get your cows to produce more milk. I think it is cool the way he treats and pampers his cows! I guess it's good for the cows. They aren't stressed, instead pampered. They must feel like kings. If it makes better dairy I'm all in. Now to make cows that produce chocolate milk instead of plain milk. The pampered cows give more milk than regular cows in due time you'll make your money back. Its a long time investment but pays off eventually to help expand and grow. 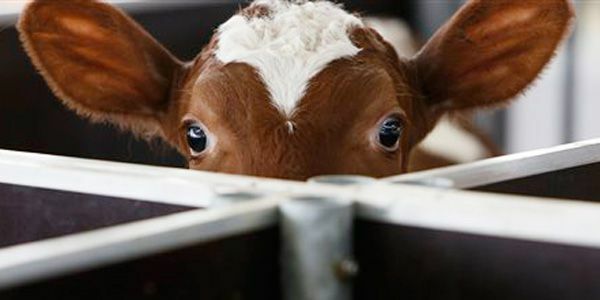 Animals deserve to be treated like living things not just something to kill and eat. What he is doing is not only helping the cows but helping him and anyone who buys milk from him too. Pampering these cows is a very good idea because they are comfortable and they are producing more and healthier milk every day. The farmer got an ROI for pampering is cow. In returned the cow made mike and most likely people like it cause the cow is so pure. 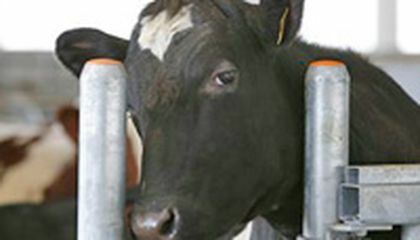 Making the cow pamper makes people see that the cow is treated right. This is how animals are supposed to be treated. Well, maybe not to this extent, but close to it. Treating animals right will give you something in return. Whether it be extra milk, or extra love. Jusuf Arifajic thinks pampering cows will pay off because they will produce more milk. He got the idea when he fled Bosnia for Norway. He has invested $11million for his farm and cows. The cows live in a climate controlled environment with rubber floors and car wash style brushes where they can get cow massages. He has 115 Norwegian Red Cows and hopes to increase his herd to 5000 cows. Well, these are some lucky cows! I hope that this experiment pays off, so more farmers will be encouraged to treat their farm animals more humanely. I wonder where a Bosnian refugee got $11 million dollars? Well according to the text, having cows relaxed and pampered produces more milk. So the more cows he has and the more milk he gets, the more he can sell. And, the more he can sell the more money he earns which is why this is an ROI. I see why this farmer is doing this and how in the long run even though expensive, can make more of a difference. I think it is really nice how he treats his cows. A healthy cow is the best cow! As long the cows are hapyy, the best milk is produced. Good for him!